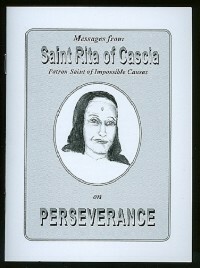 Saint Rita has regularly appeared to Visionary Maureen Sweeney-Kyle. Her messages are held in this captivating booklet which includes a brief introduction on her life. Our Lord wants us to make these messages part of our spirituality to help us to persevere in Holy Love. Front cover measures 4.5x6. Softcover. 20 pages.